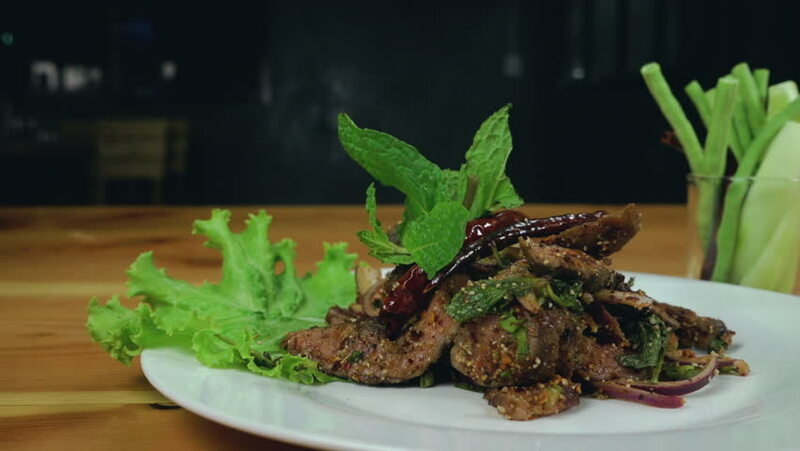 Slow motion - Close up cooking sliced grilled beef salad with pepper and oregano leafs. 4k00:10Kitchen. Restaurant. Cooking. The chef decorates grilled meat with vegetables greens. hd00:07The cook lays the salad on a square plate. Salad consists of arugula leaves, avocado, quinoa croup. hd00:26Slow motion shot of salad bar dish with dark leafy greens. 4k00:11Kitchen. Restaurant. Cooking. The chef decorates meat grilled with vegetables sauce.